Lot Detail - Zoma in Captivity. Sideshow Banner. 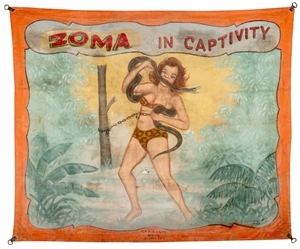 Zoma in Captivity. Sideshow Banner. Beecher, Gene. 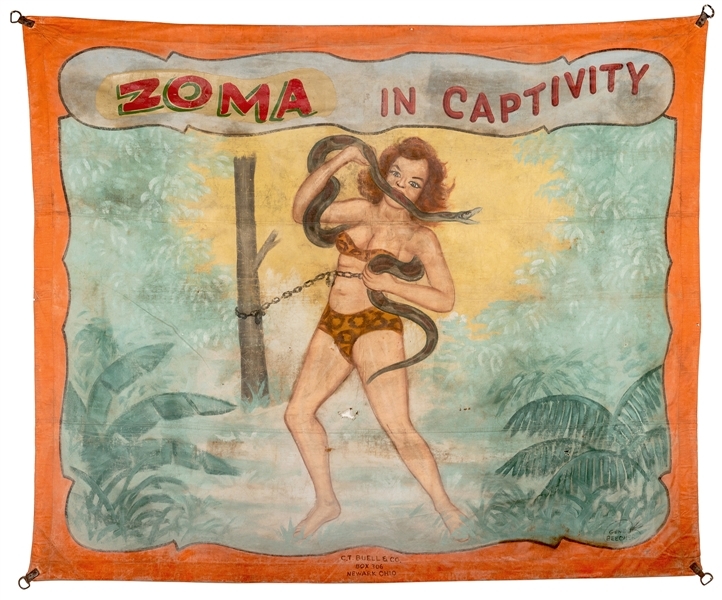 Zoma in Captivity. Sideshow Banner. Circa 1930. The cannibal Zoma bites ferociously at a snake wrapped around her body. 113 ½ x 94”. Well worn and toned, with scattered holes and losses.